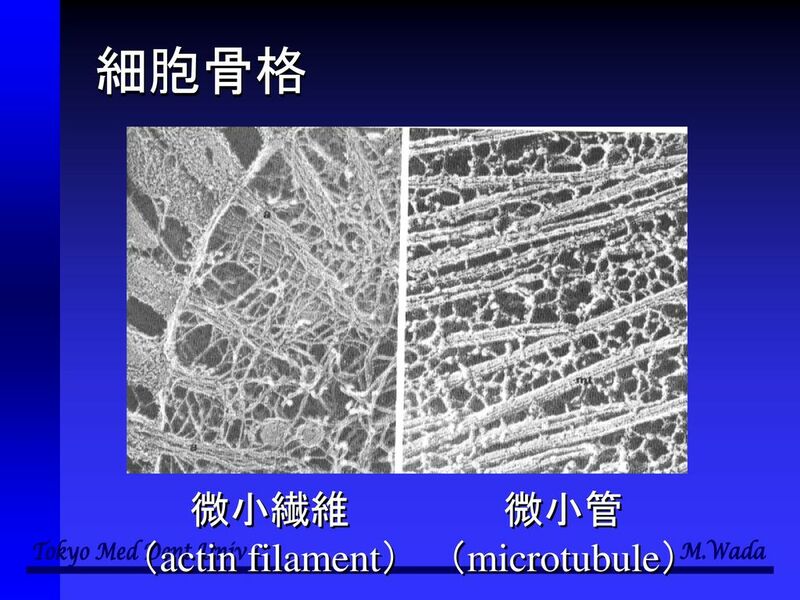 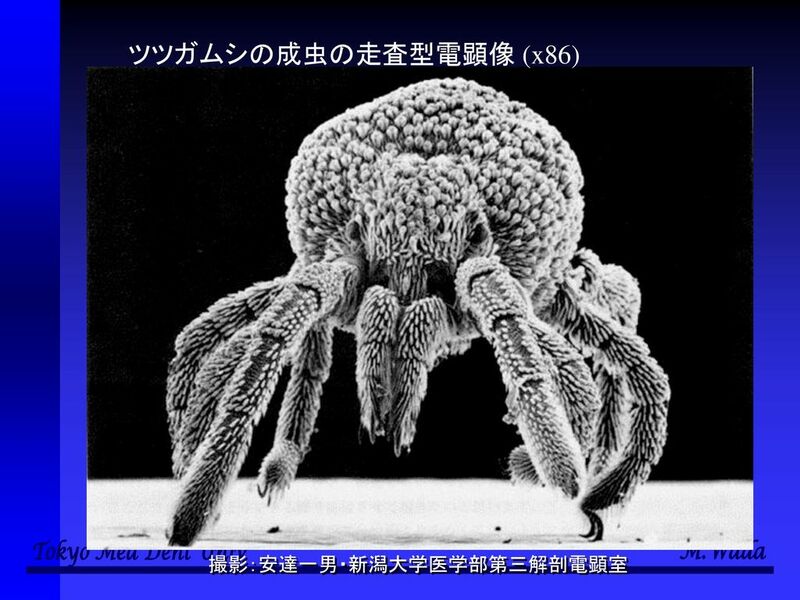 細胞と多様性の 生物学 第２回　細胞の構造、細胞小器官など 和田　勝 東京医科歯科大学教養部. 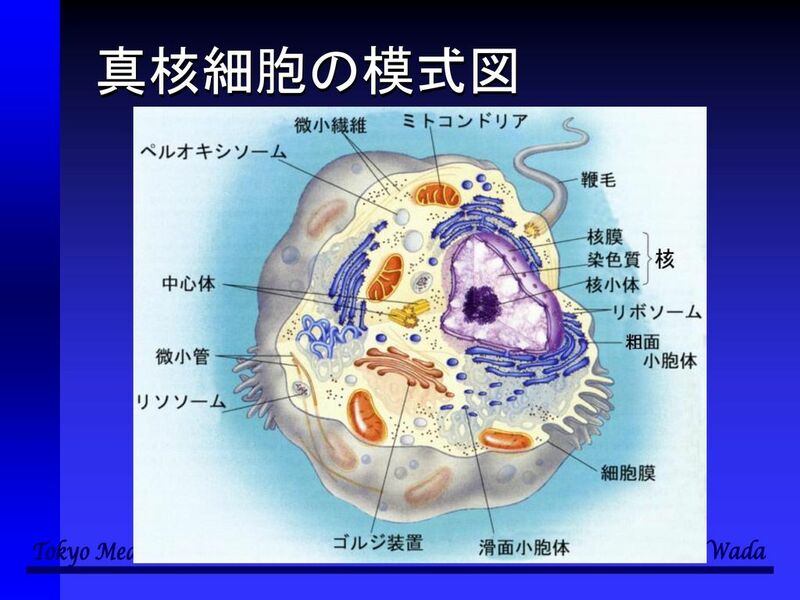 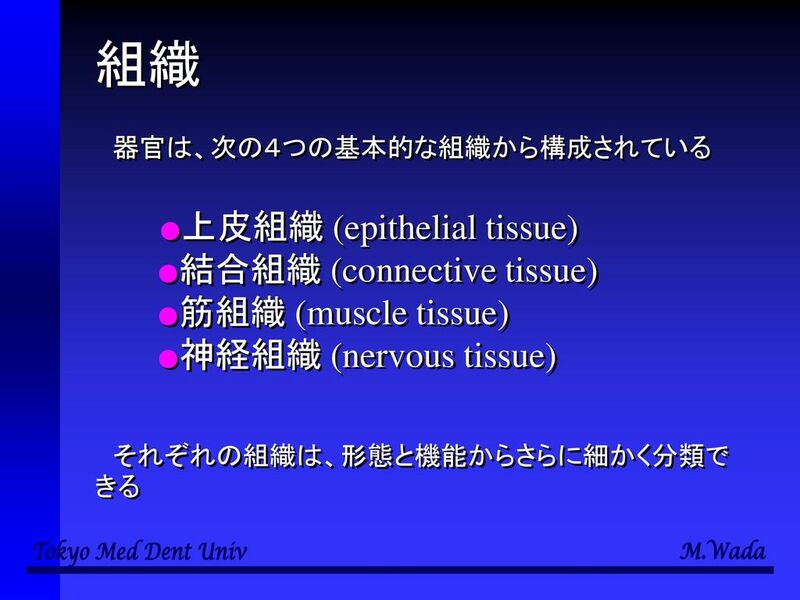 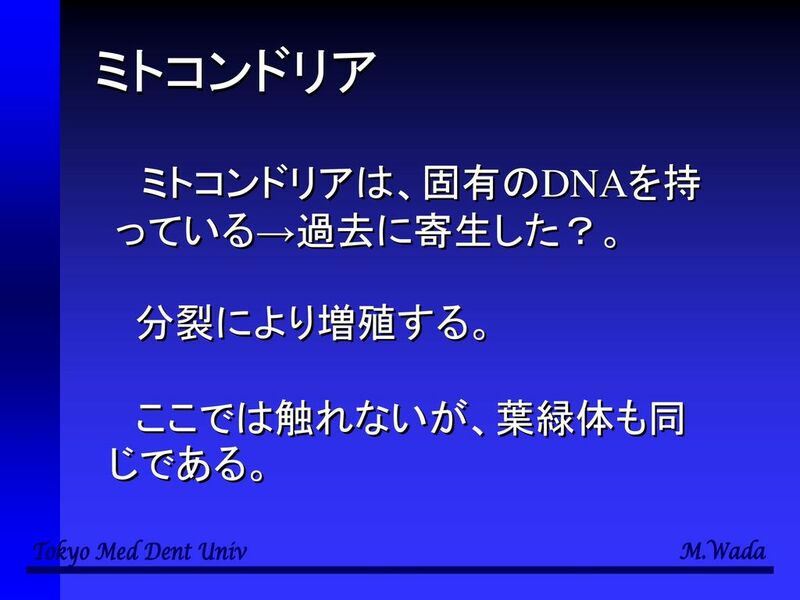 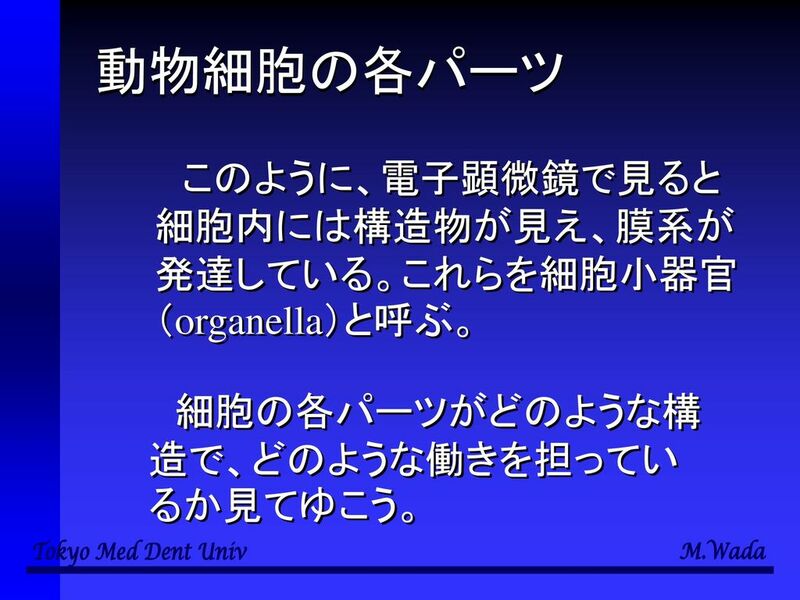 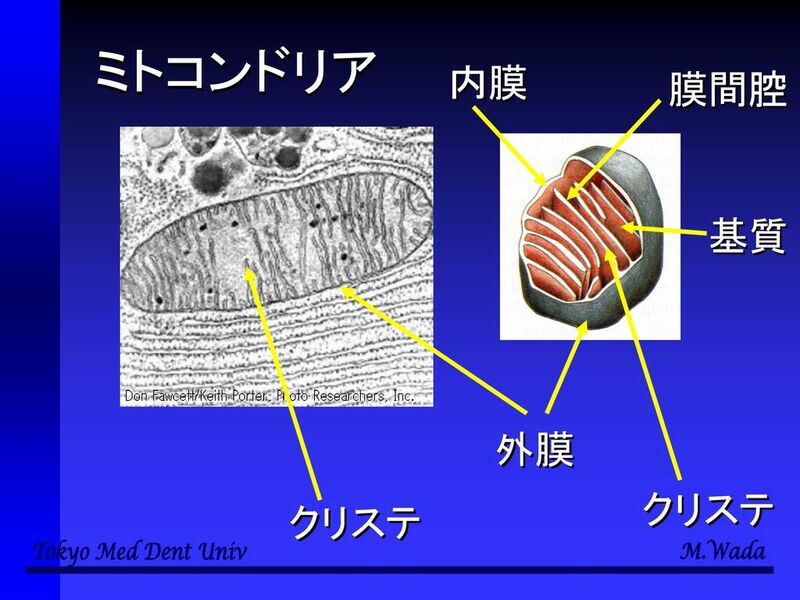 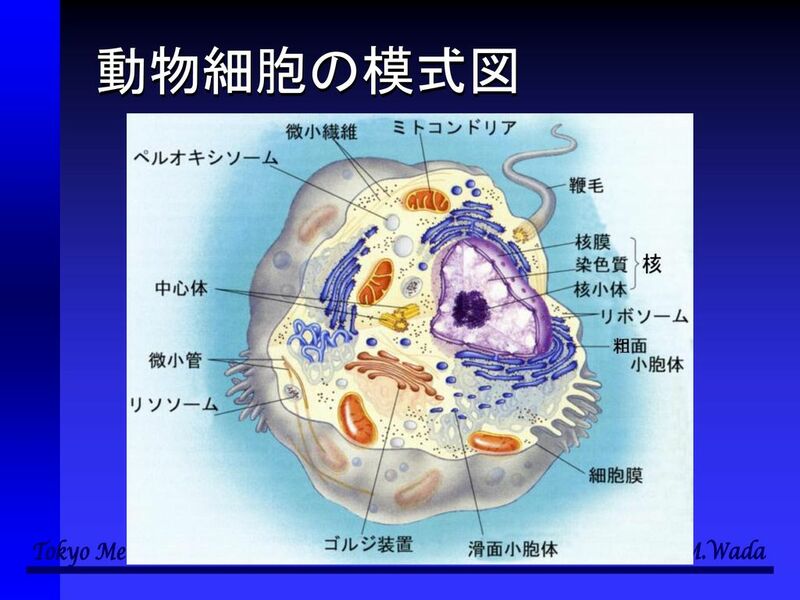 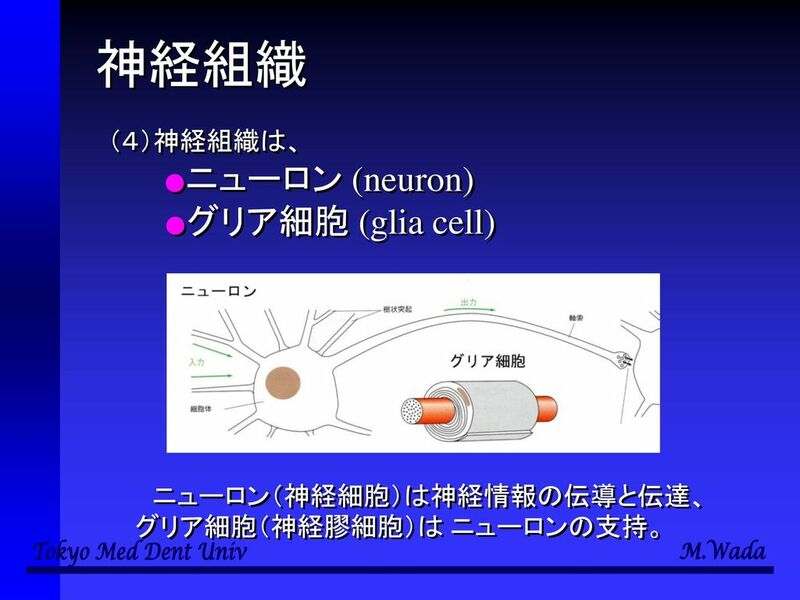 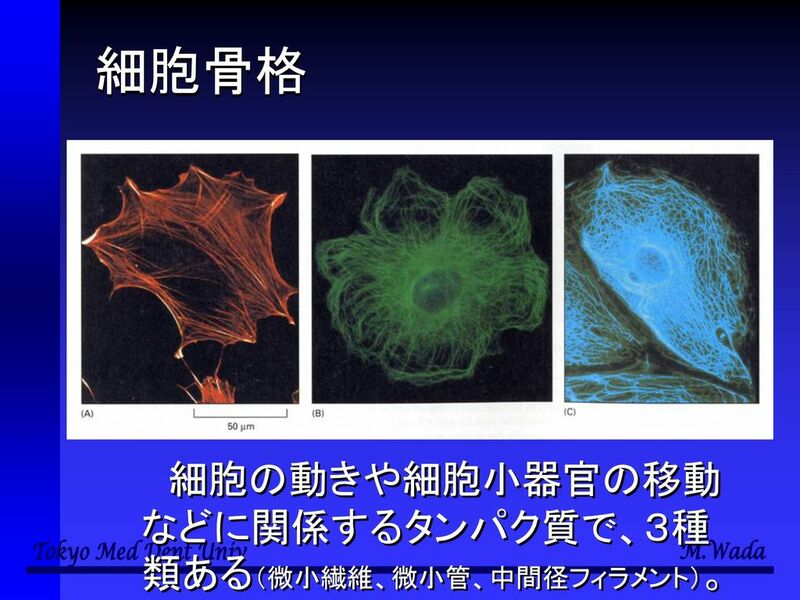 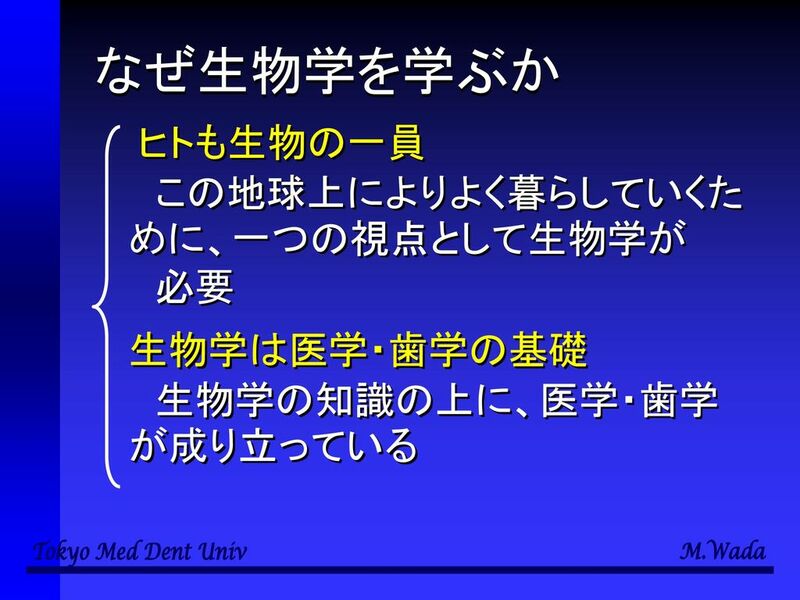 4 なぜ生物学を学ぶか Biology, the study of life, is rooted in the human spirit. 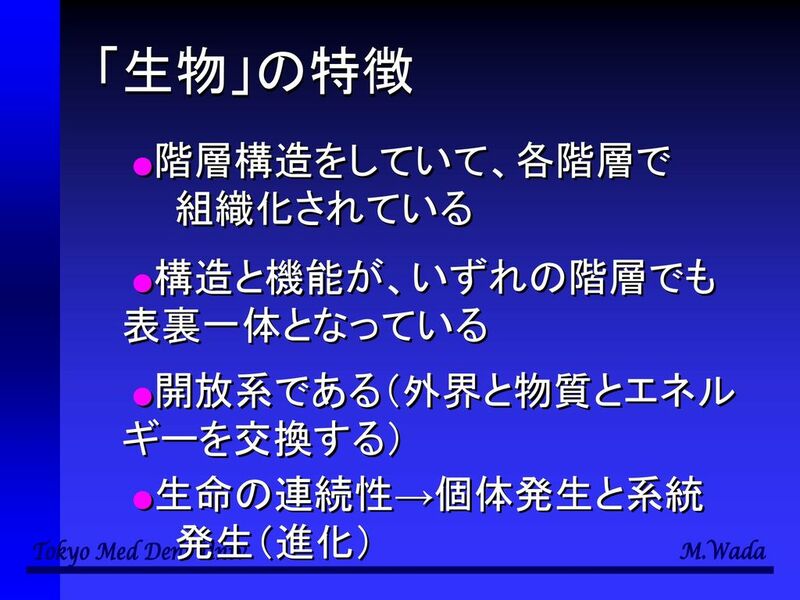 People keep pets, nurture houseplants, invite avian visitors with backyard birdhouse, and visit zoos and nature parks. 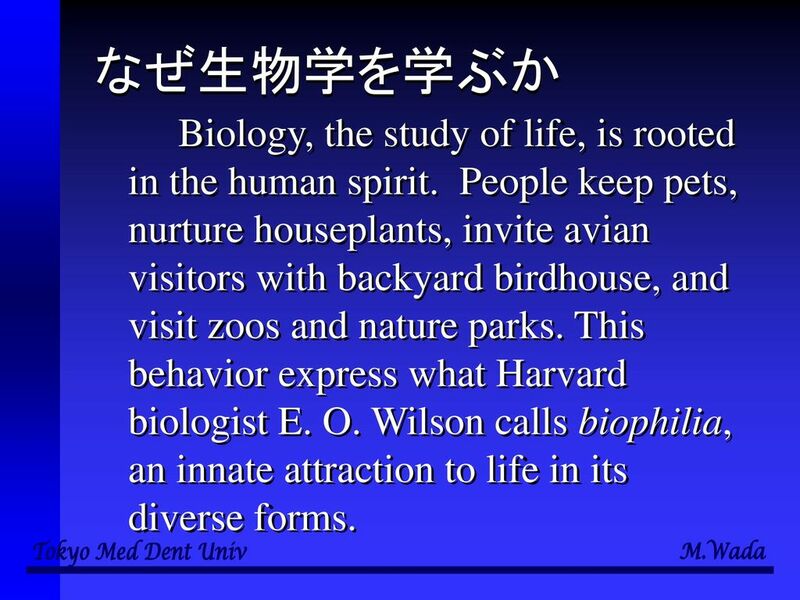 This behavior express what Harvard biologist E. O. Wilson calls biophilia, an innate attraction to life in its diverse forms. 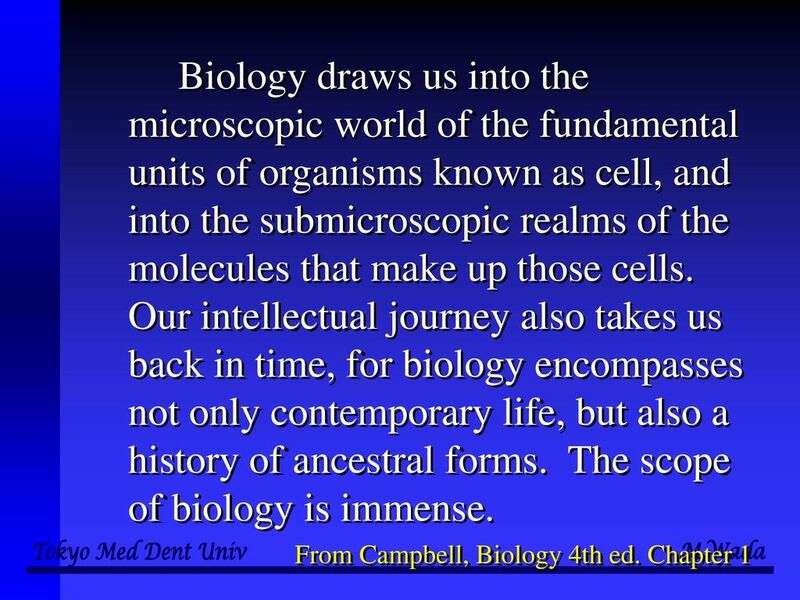 5 Biology is the scientific extension of this human tendency to feel connected to and curious about all forms of life. 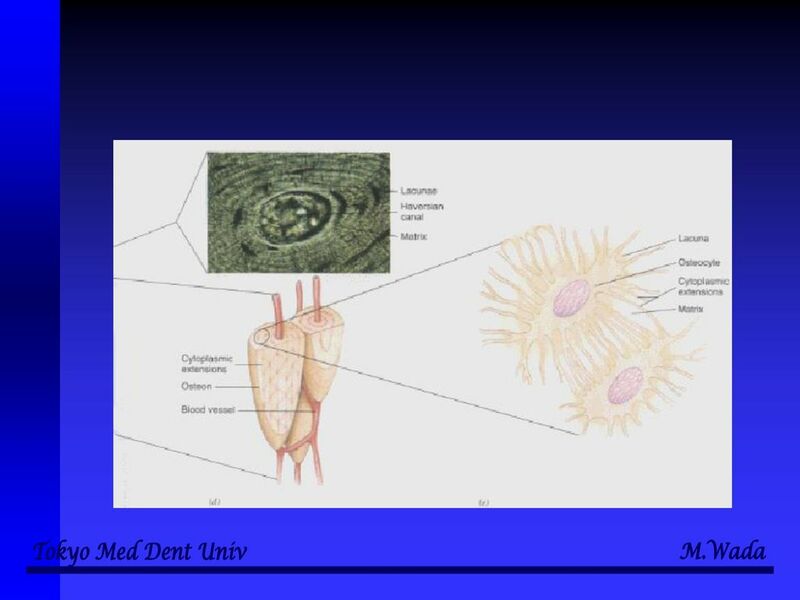 It takes us into the Nature, where a variety of living forms and their physical surroundings are interwoven into complex webs called ecosystems. 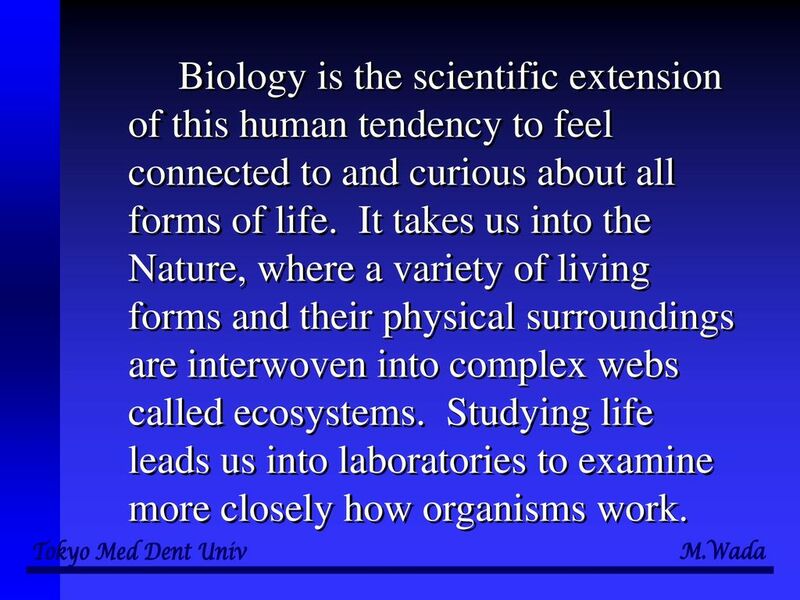 Studying life leads us into laboratories to examine more closely how organisms work. 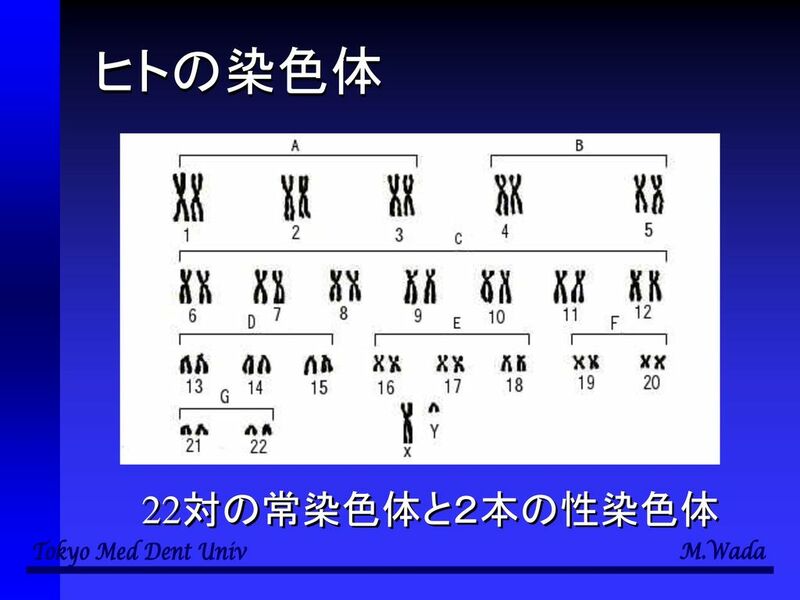 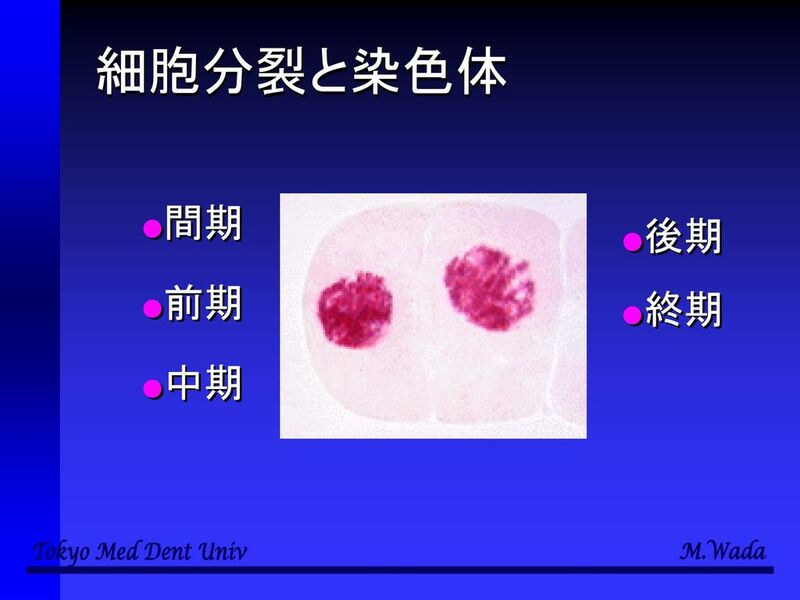 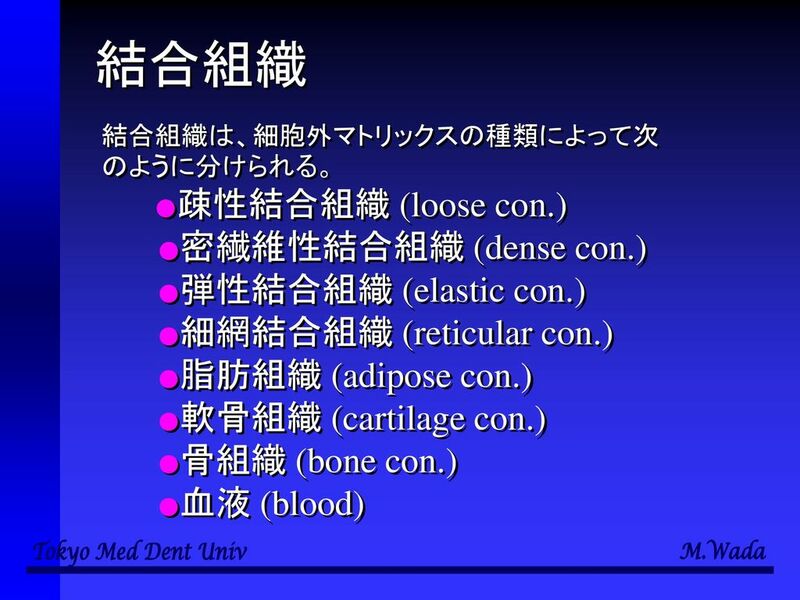 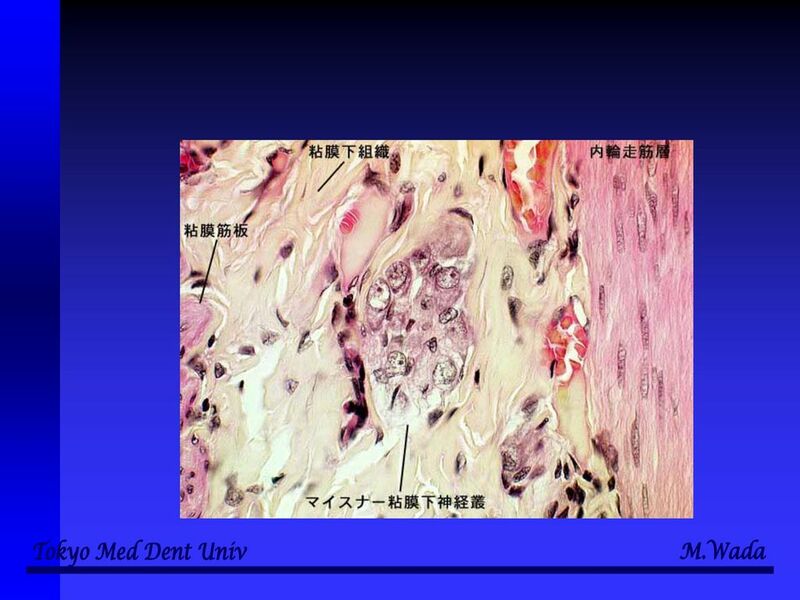 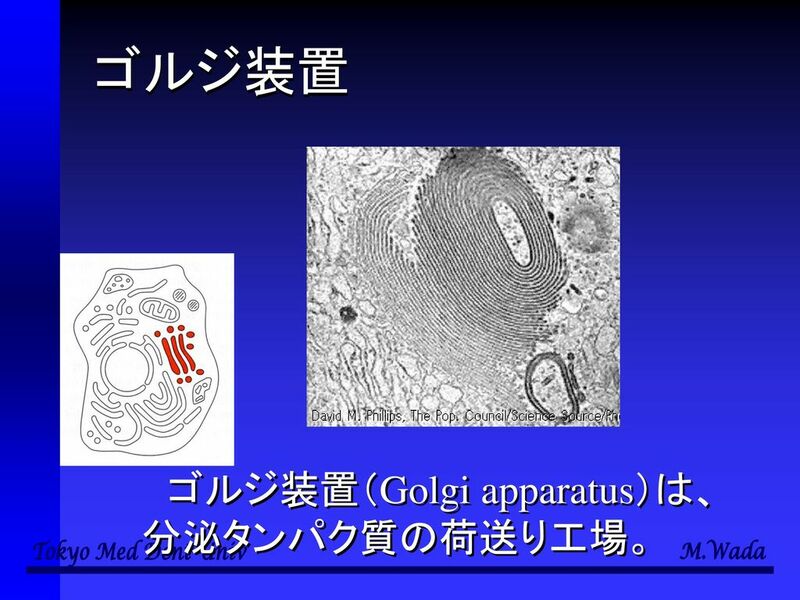 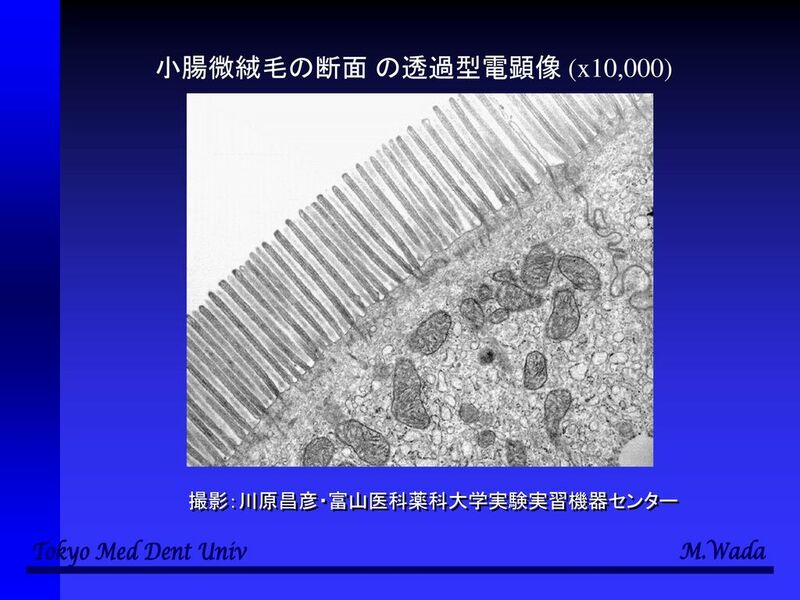 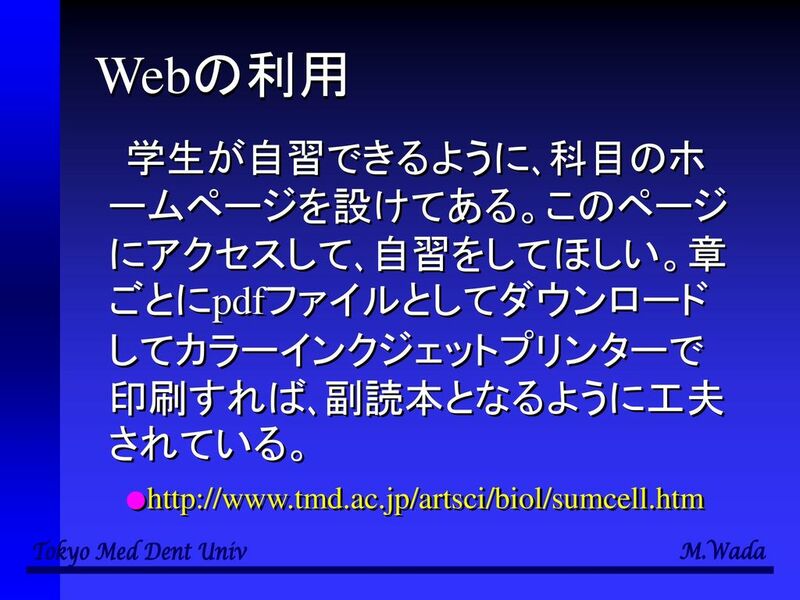 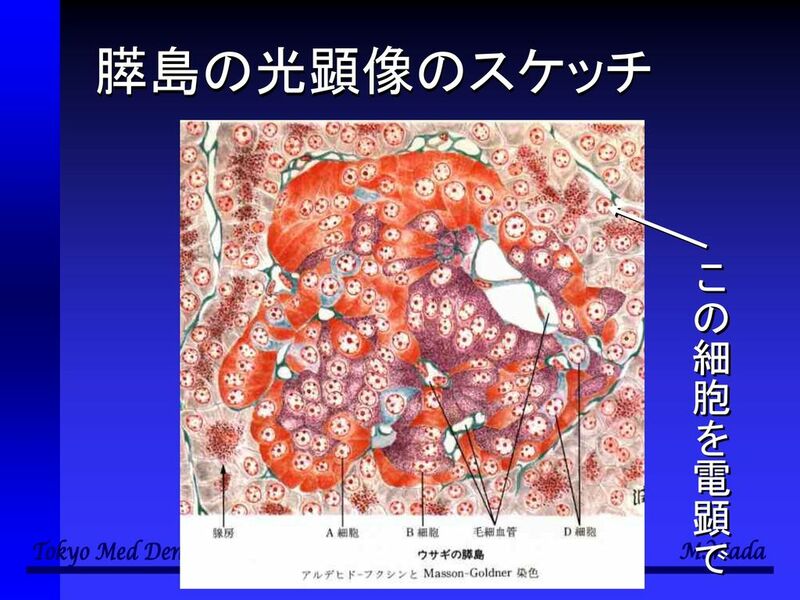 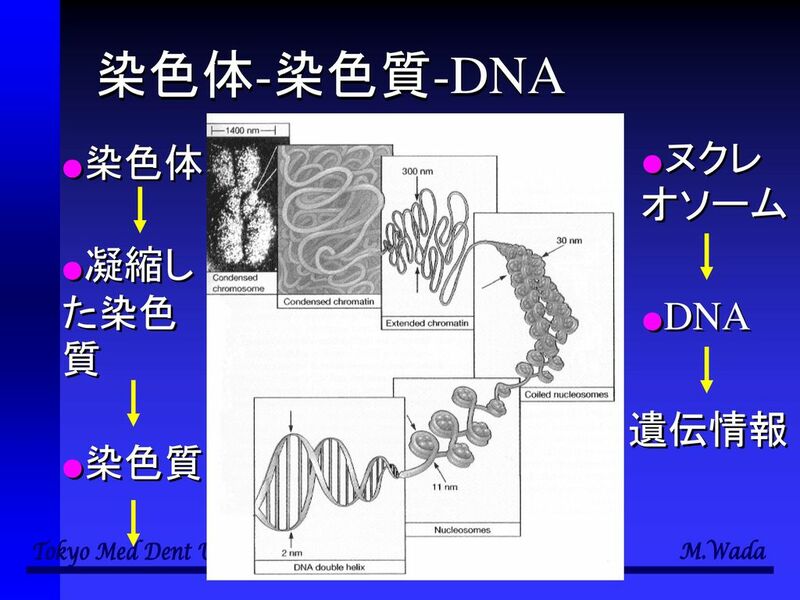 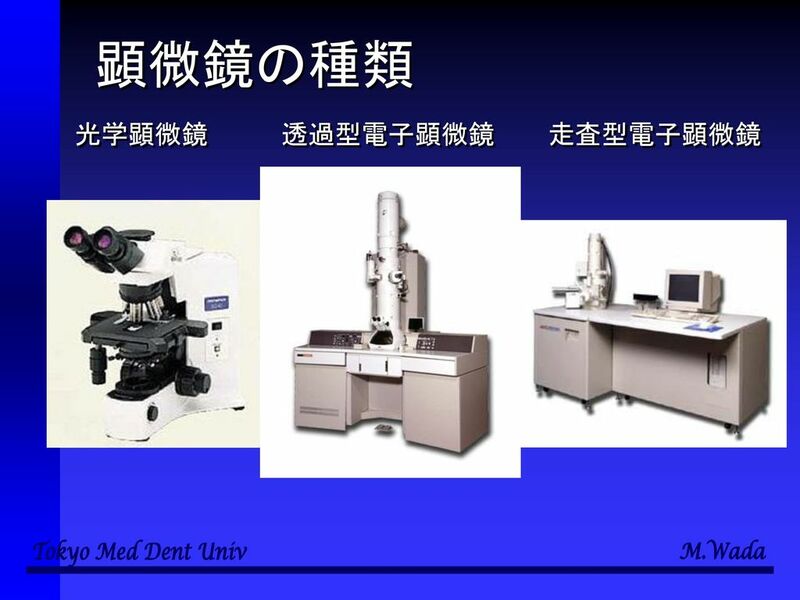 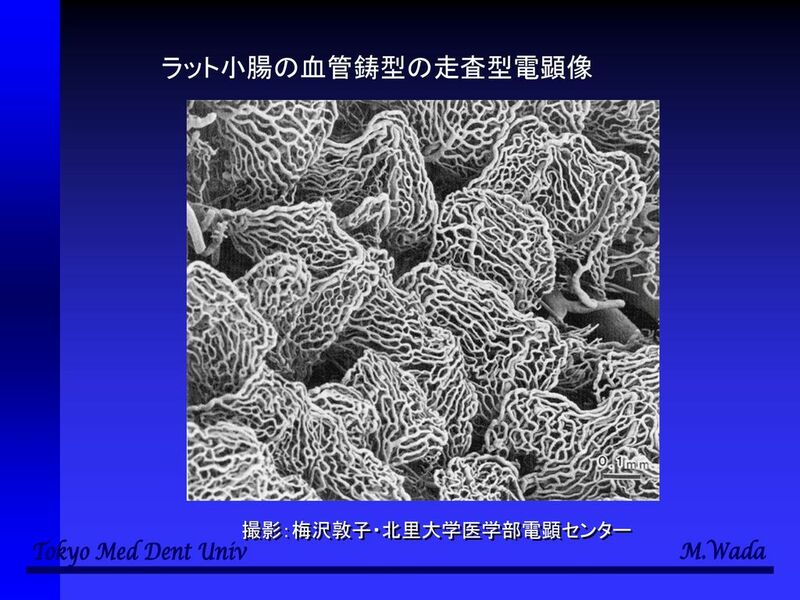 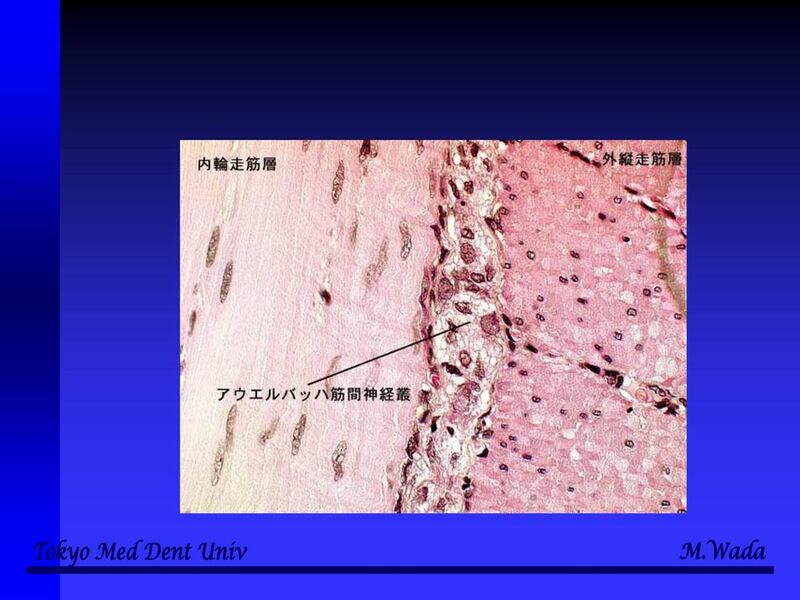 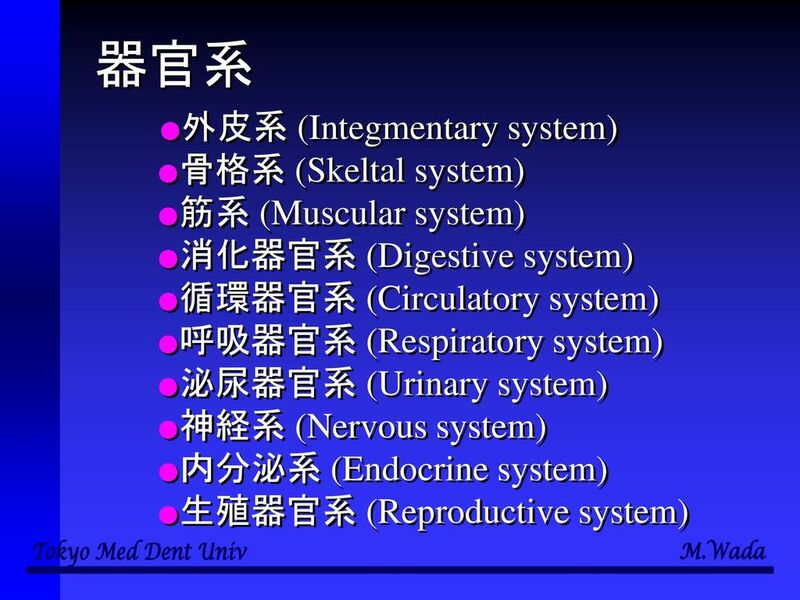 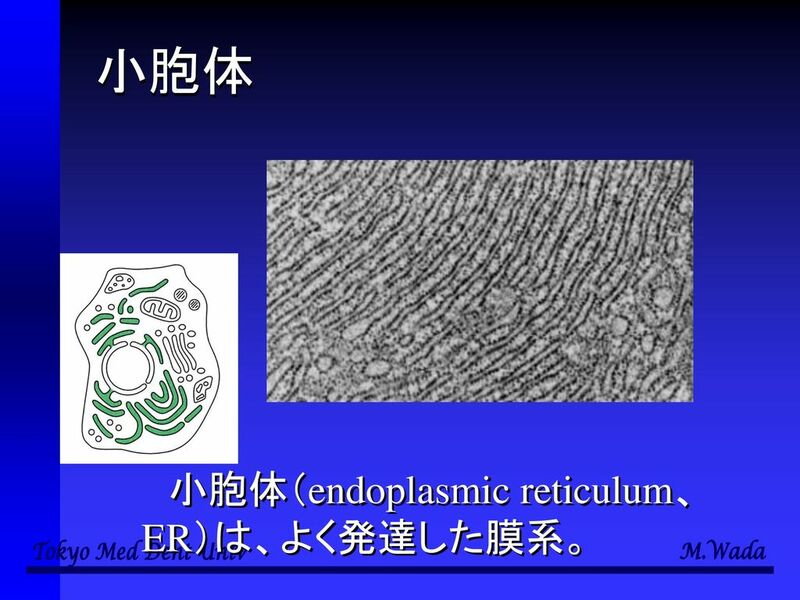 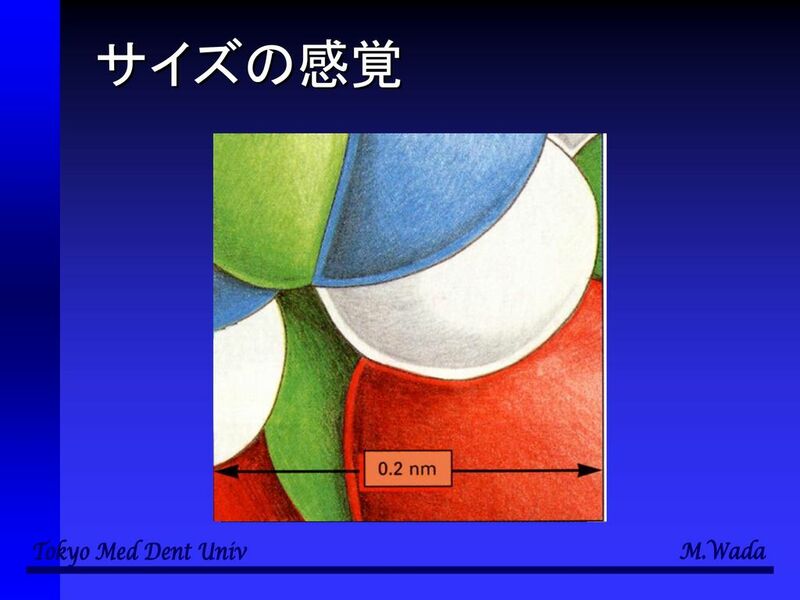 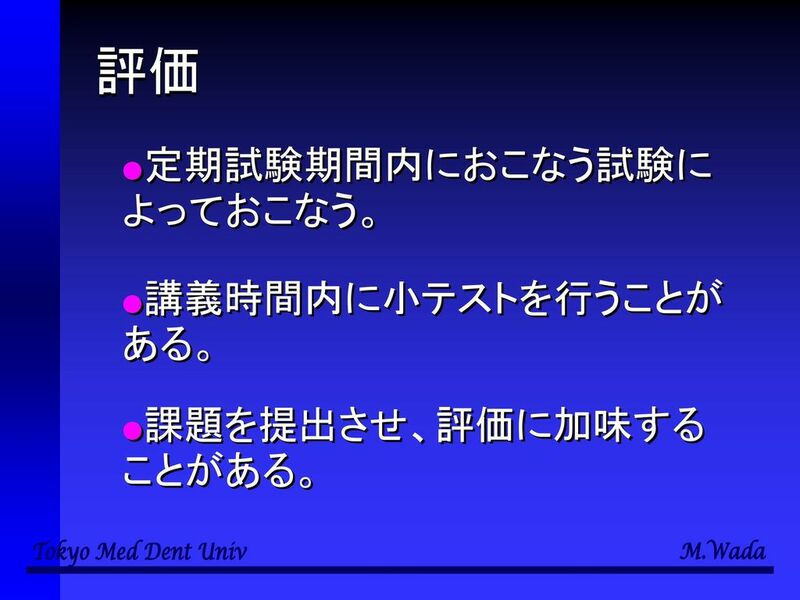 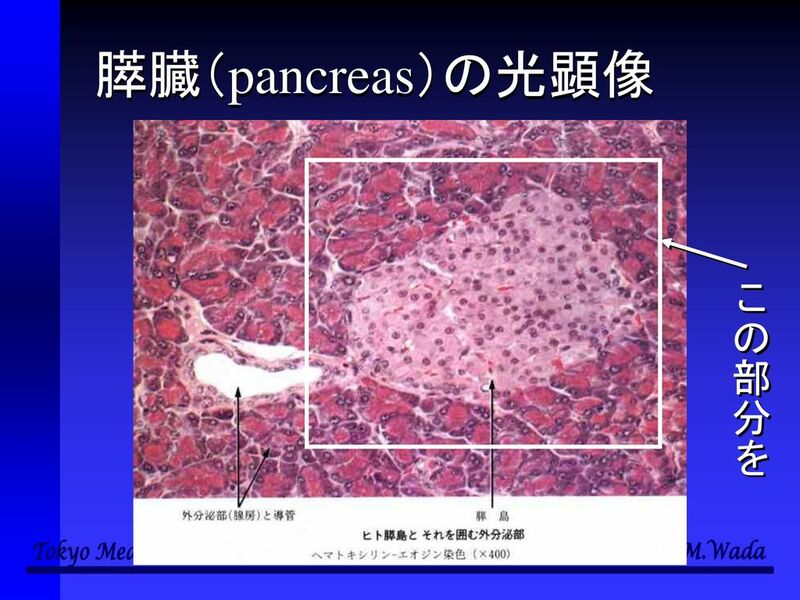 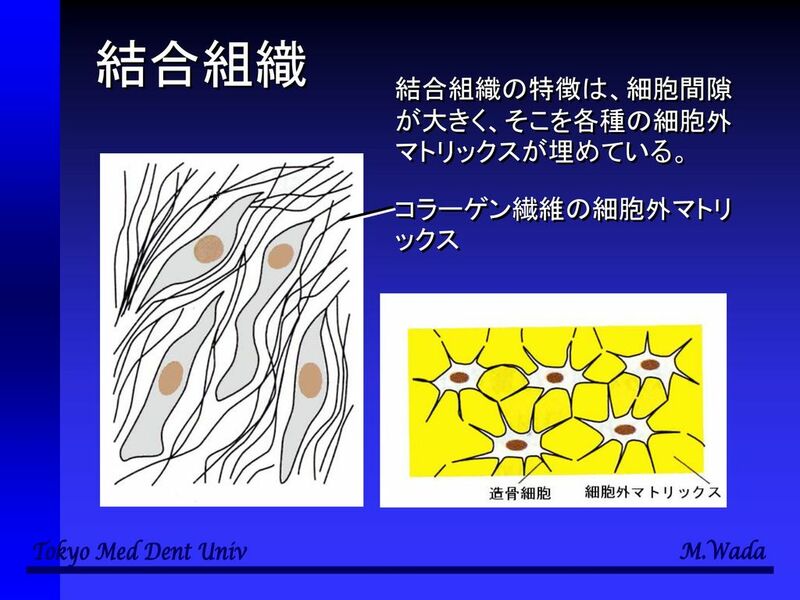 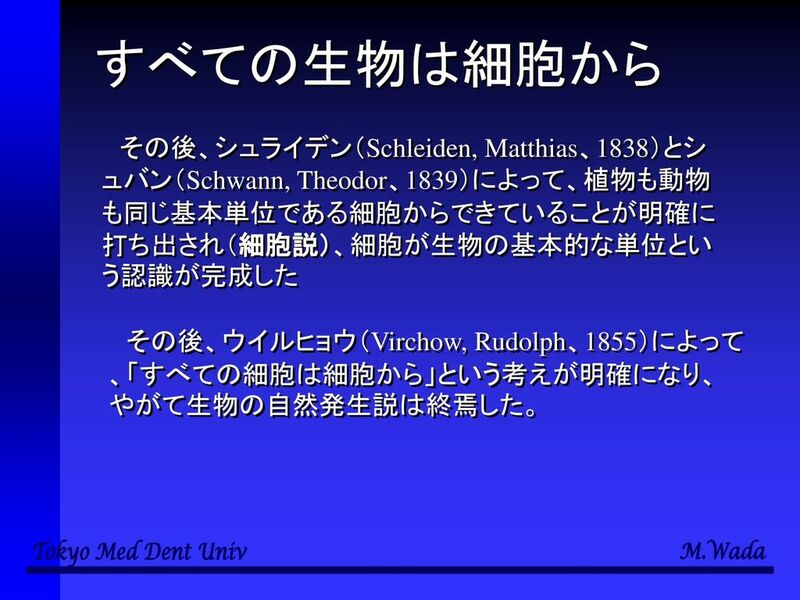 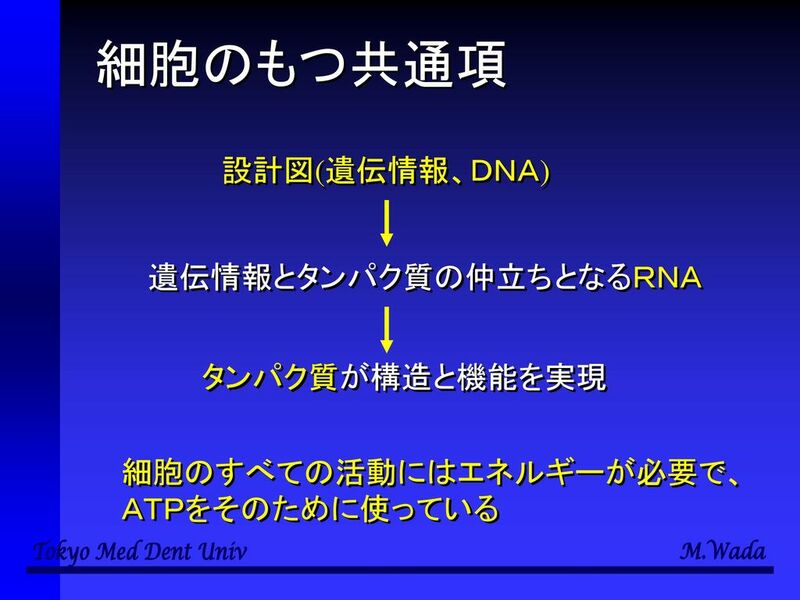 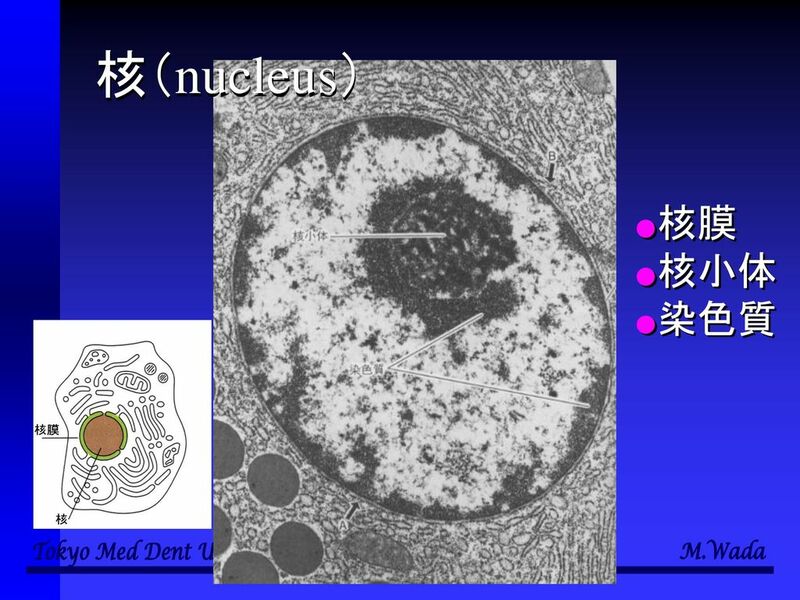 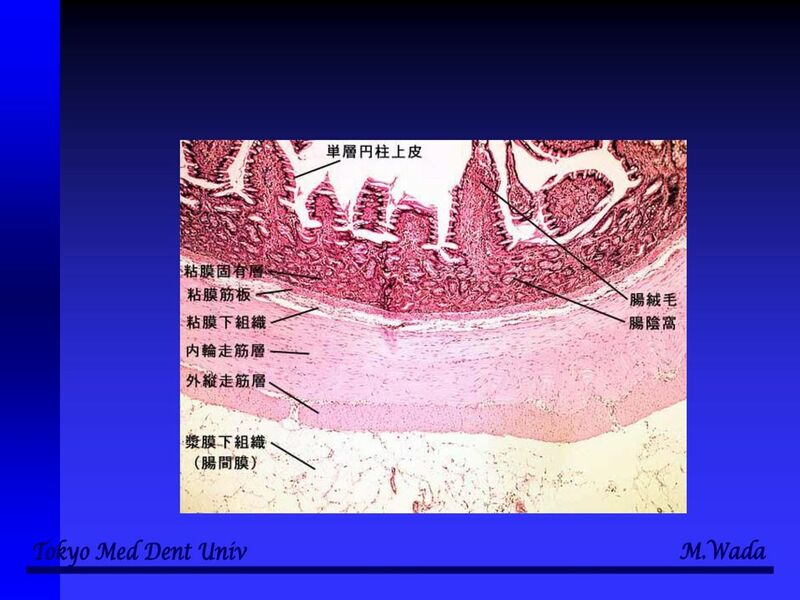 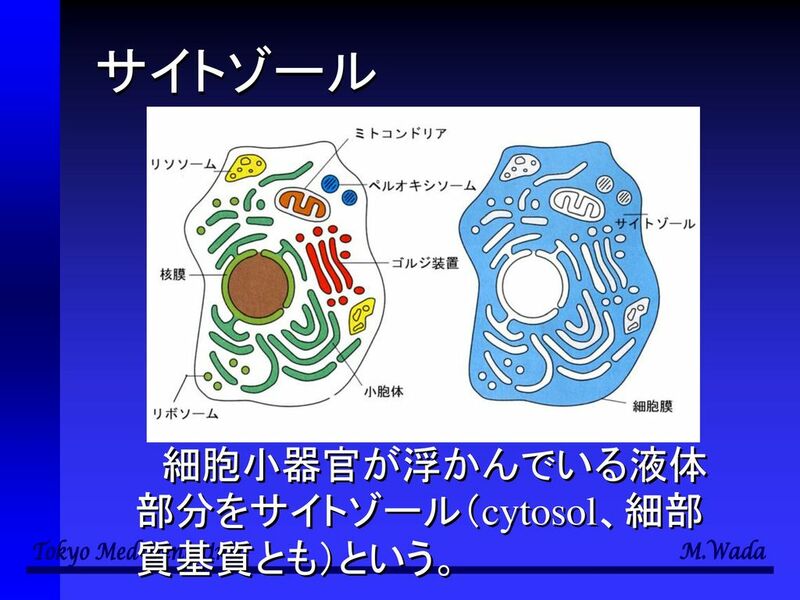 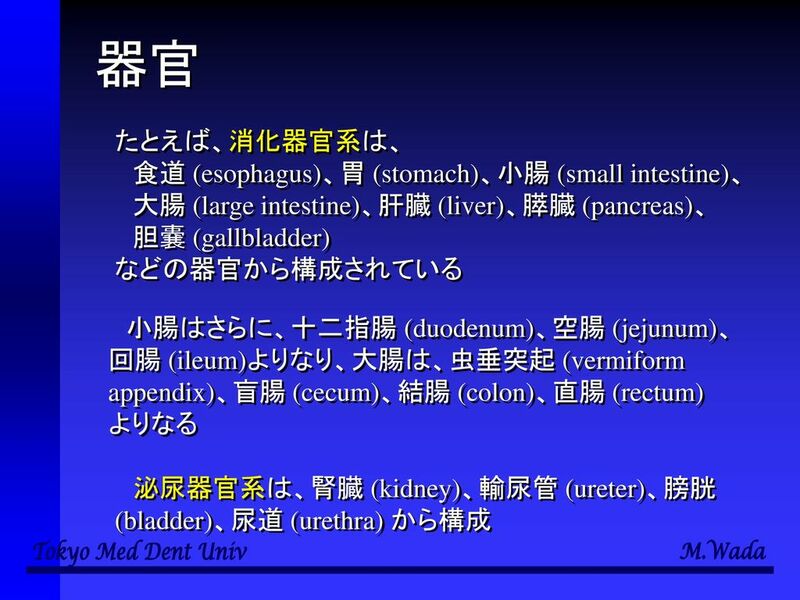 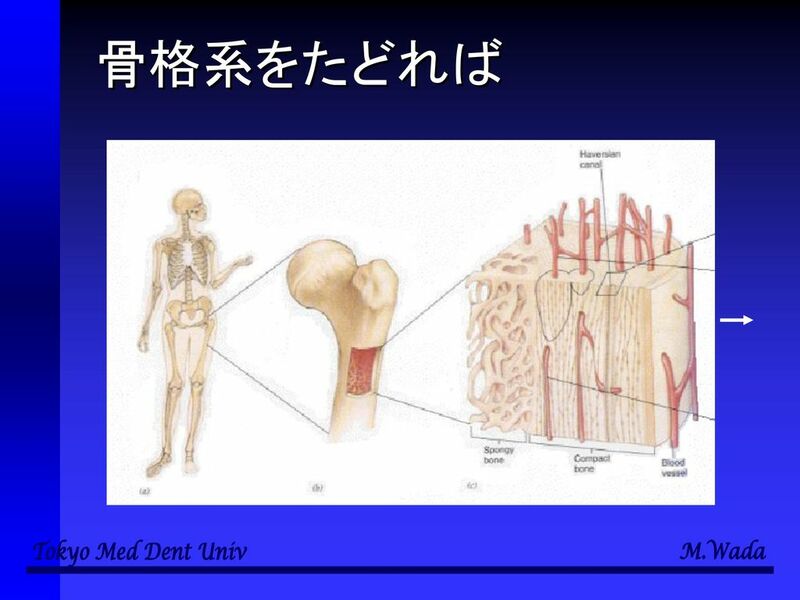 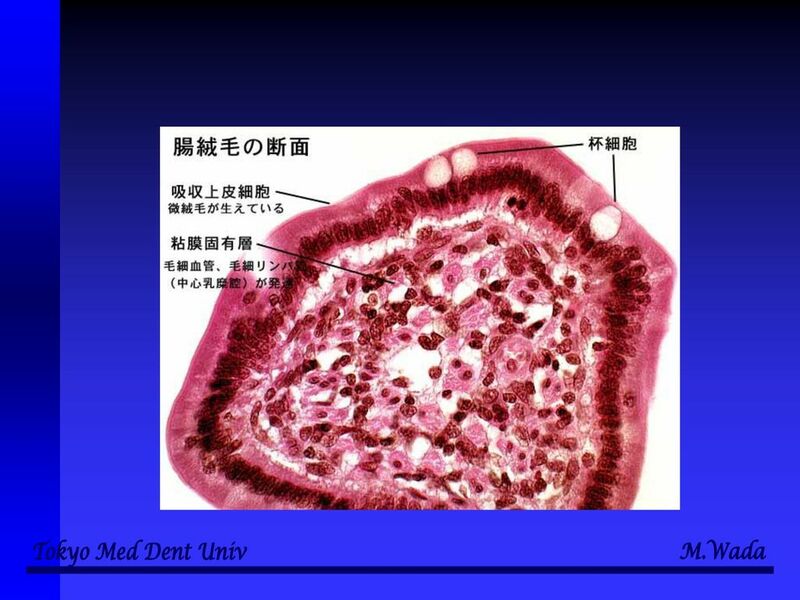 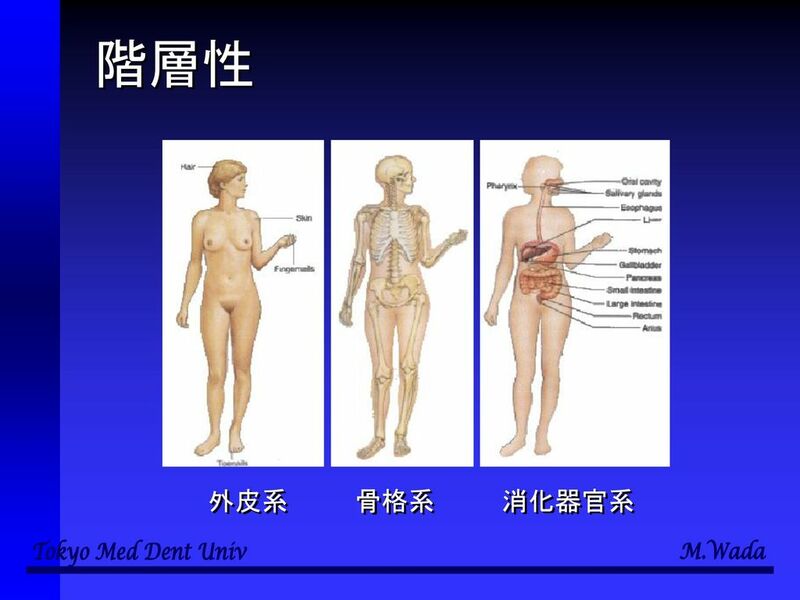 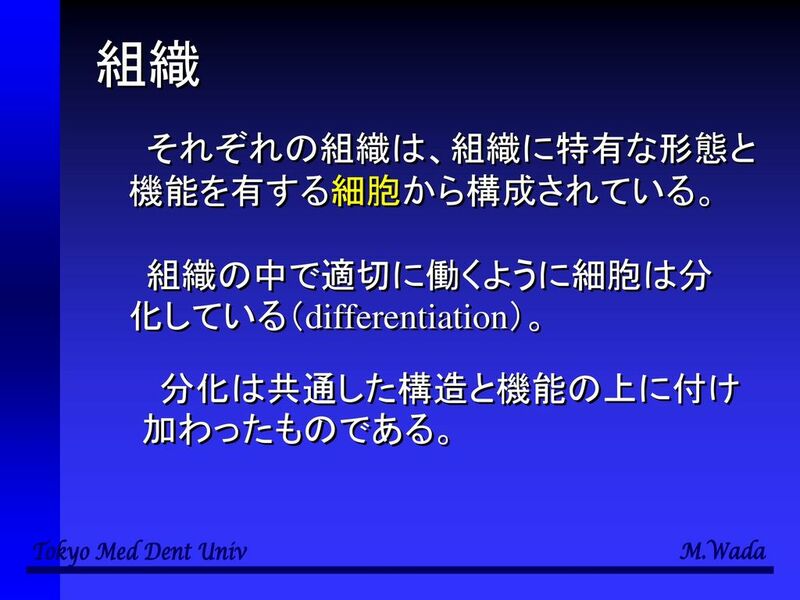 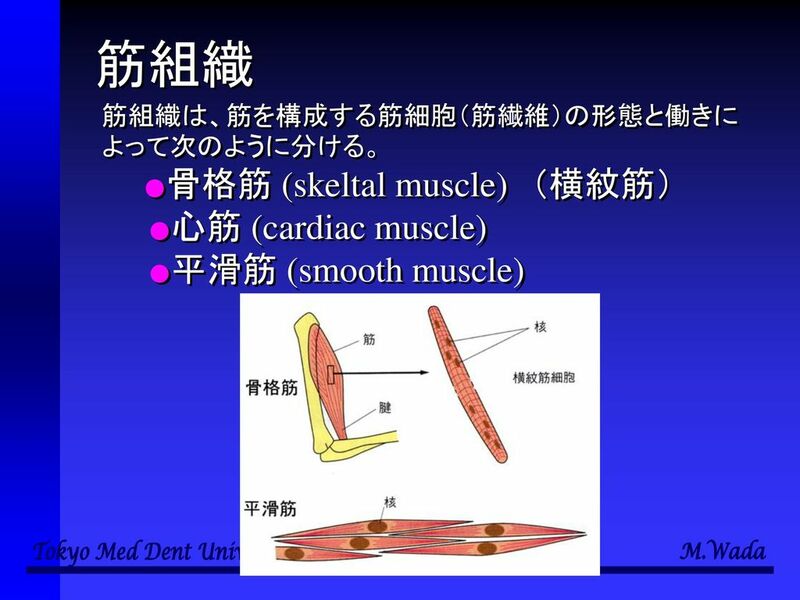 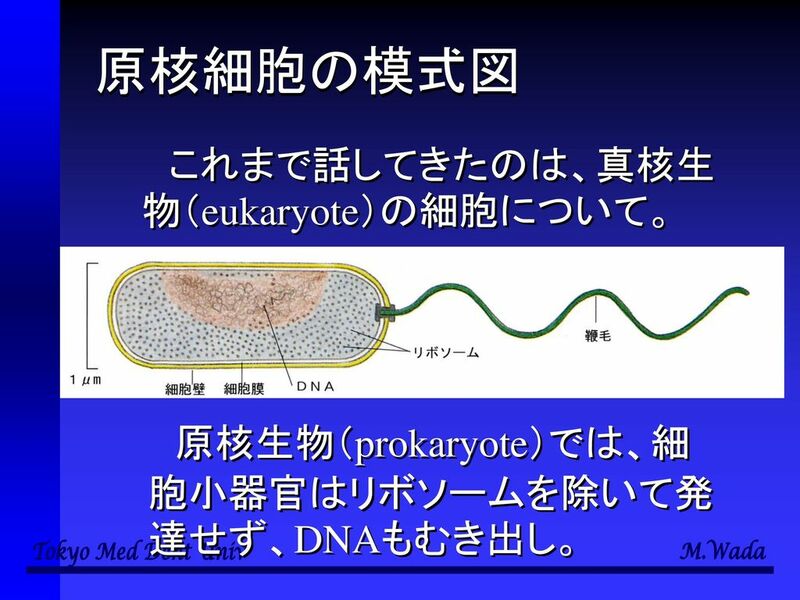 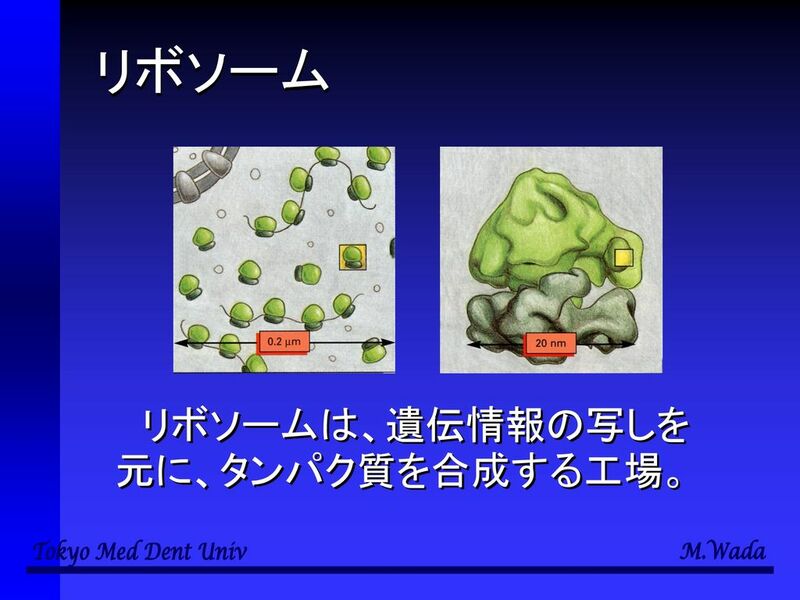 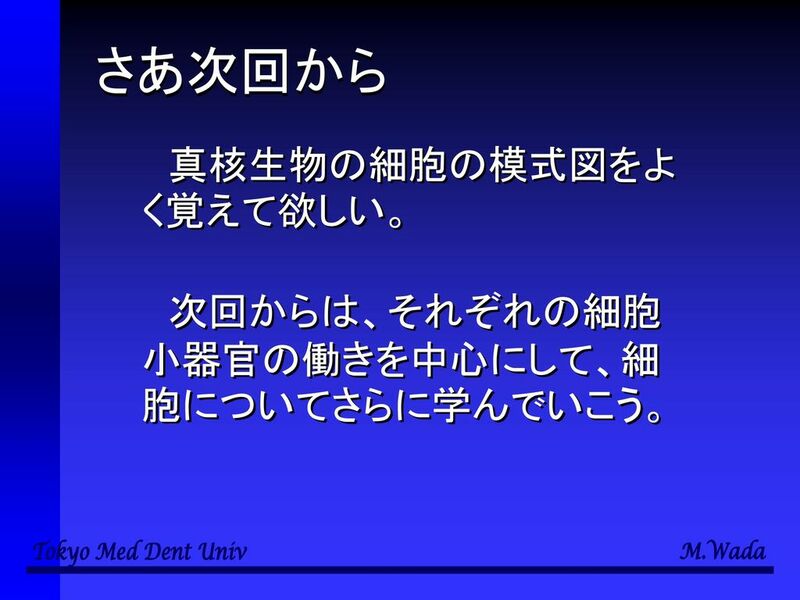 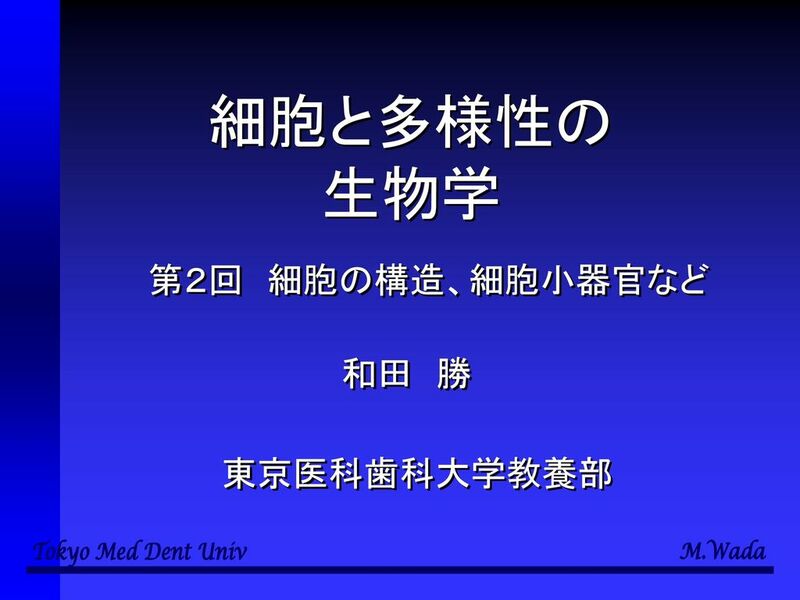 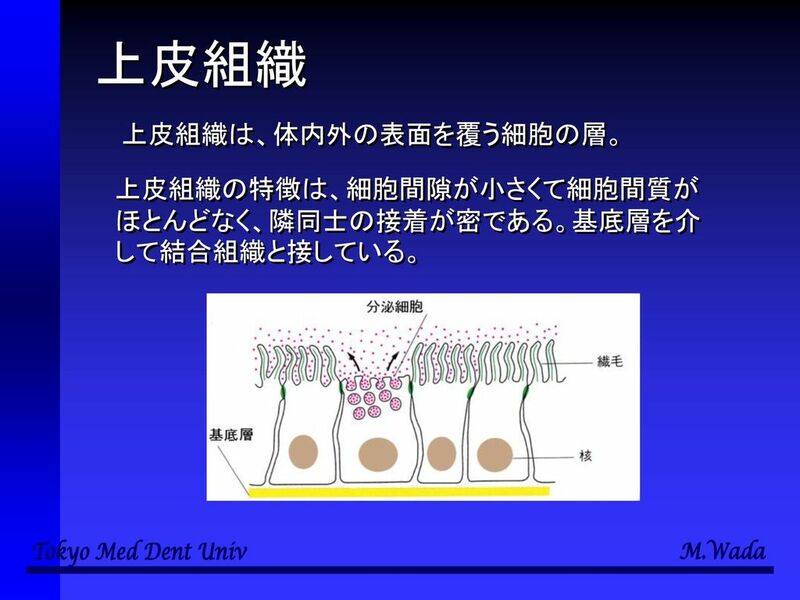 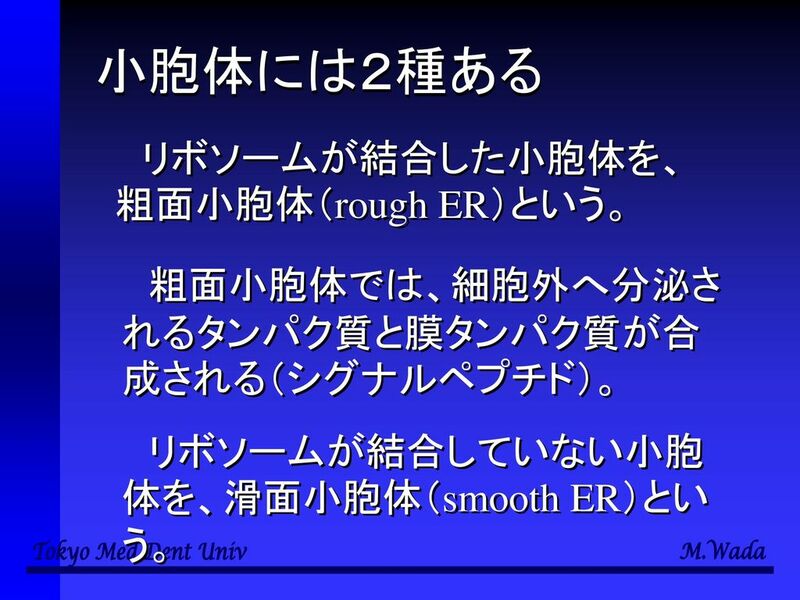 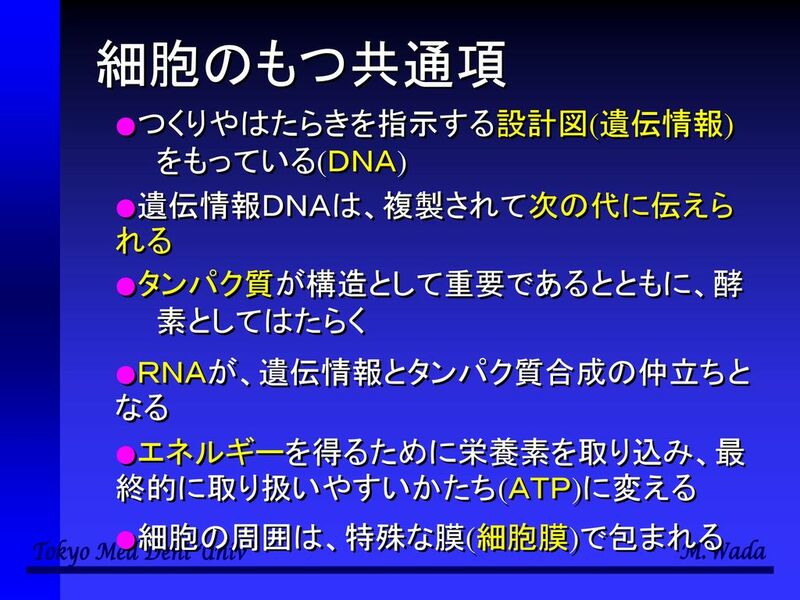 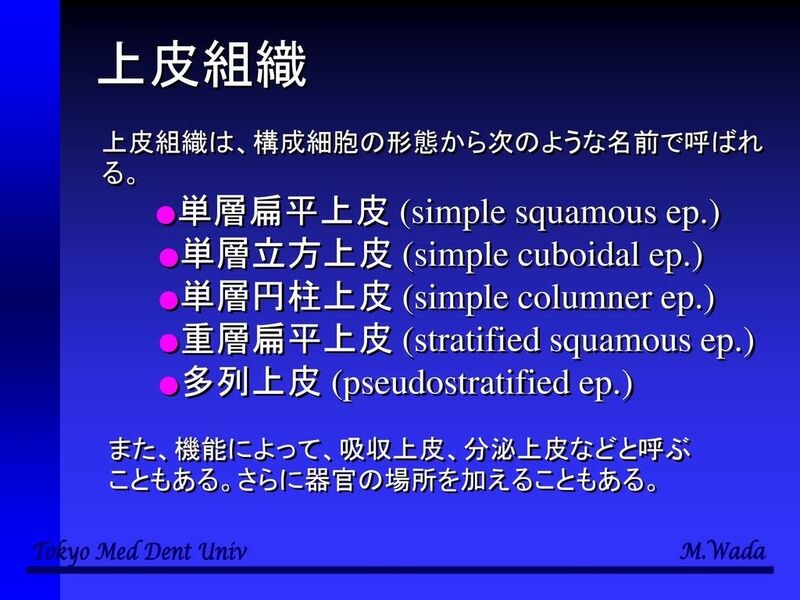 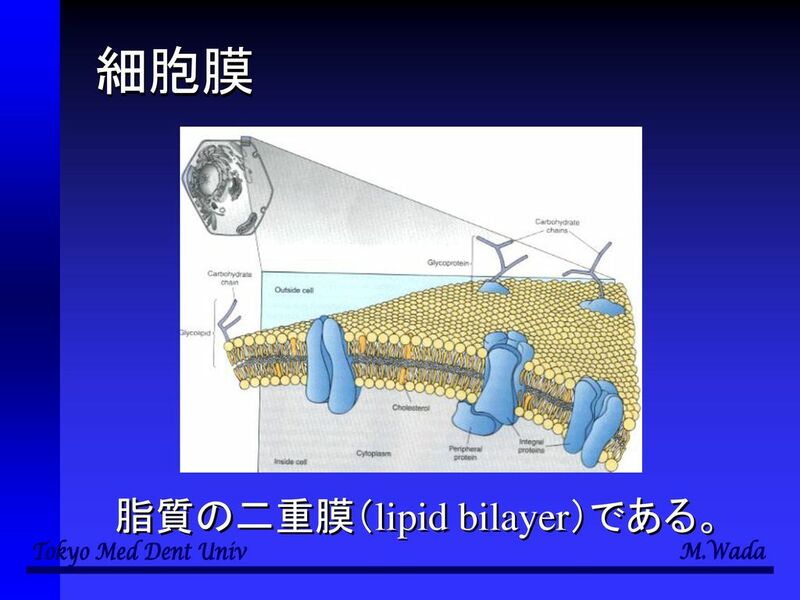 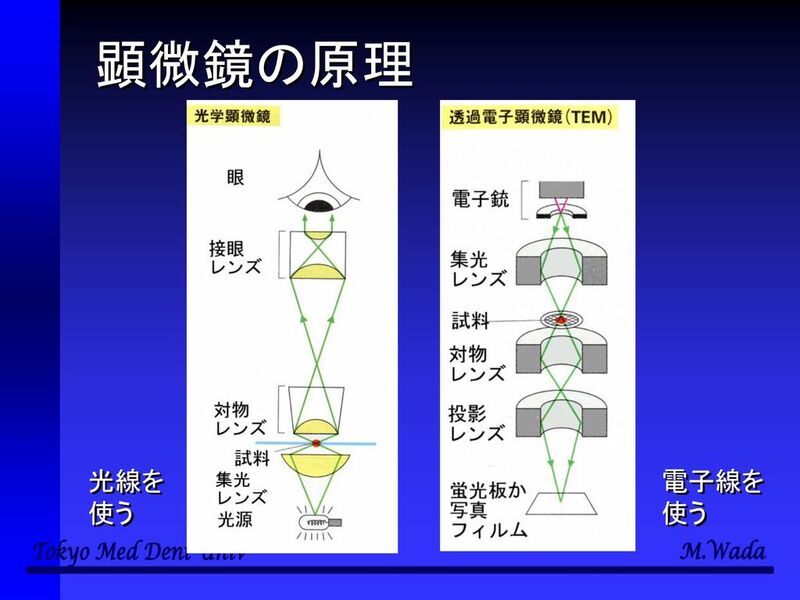 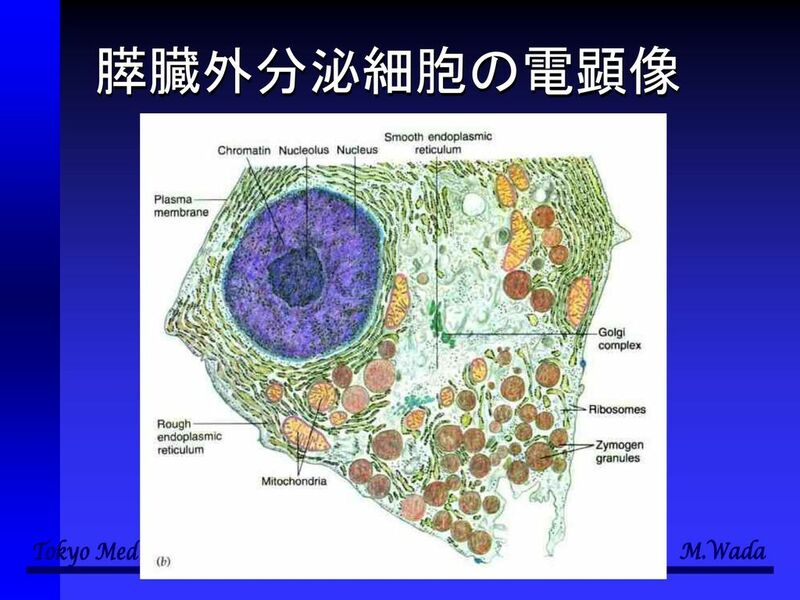 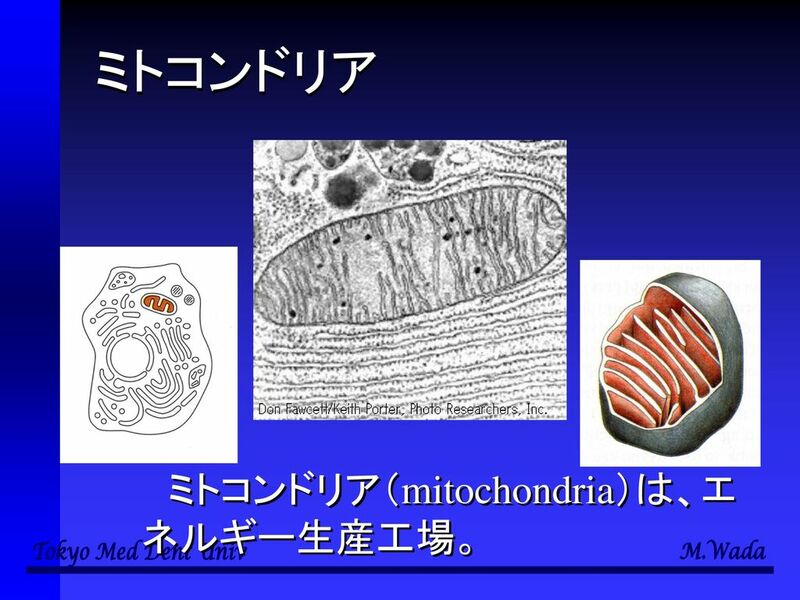 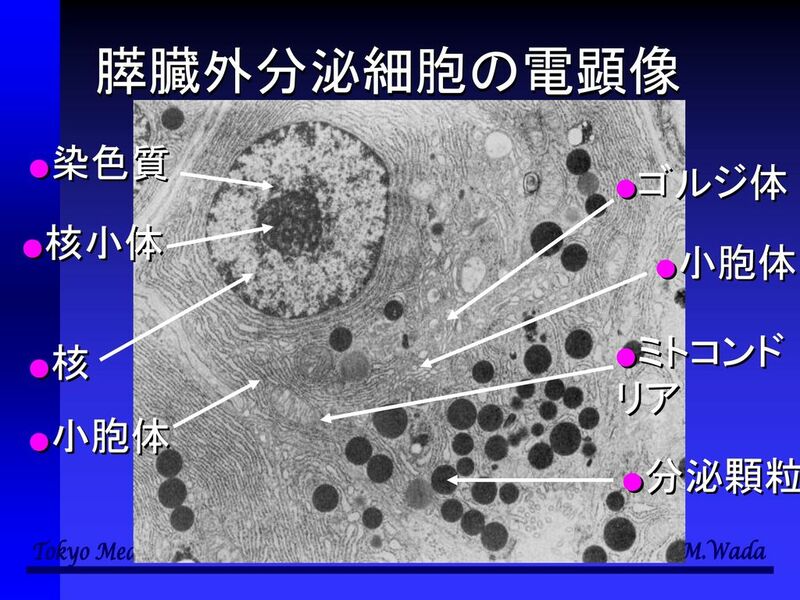 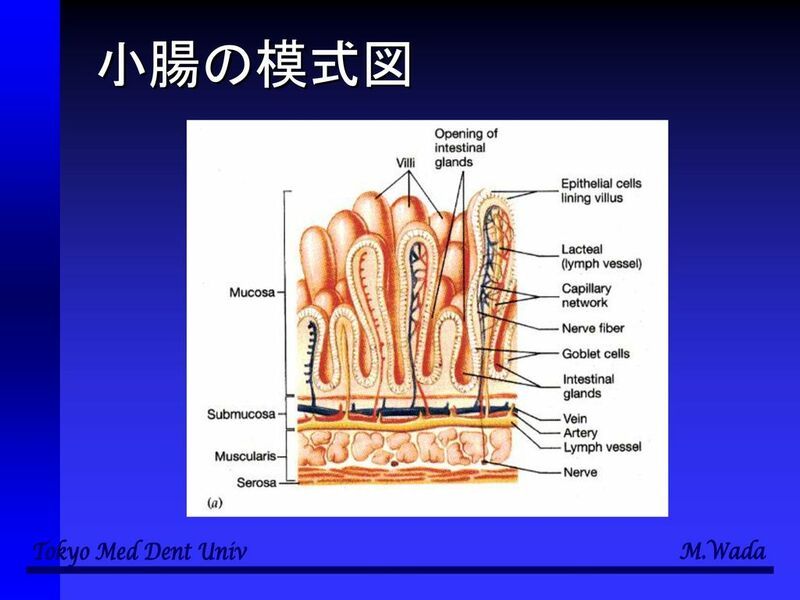 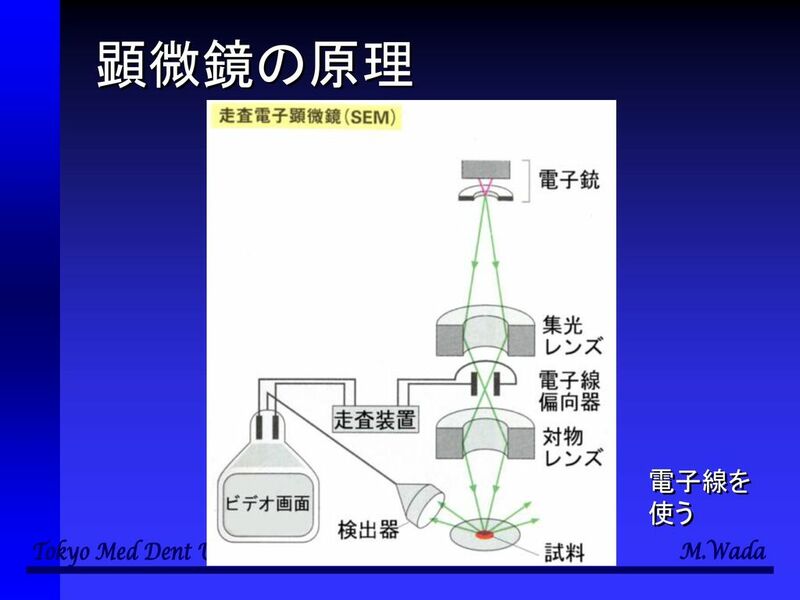 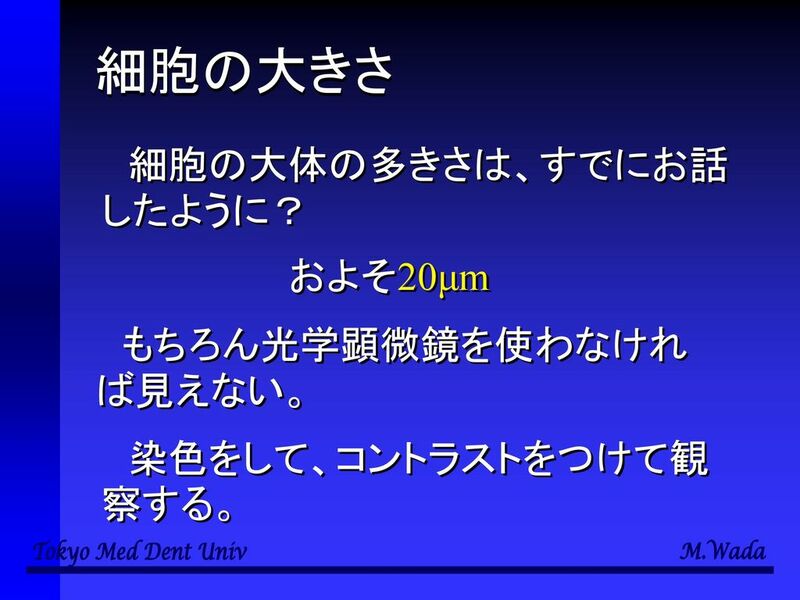 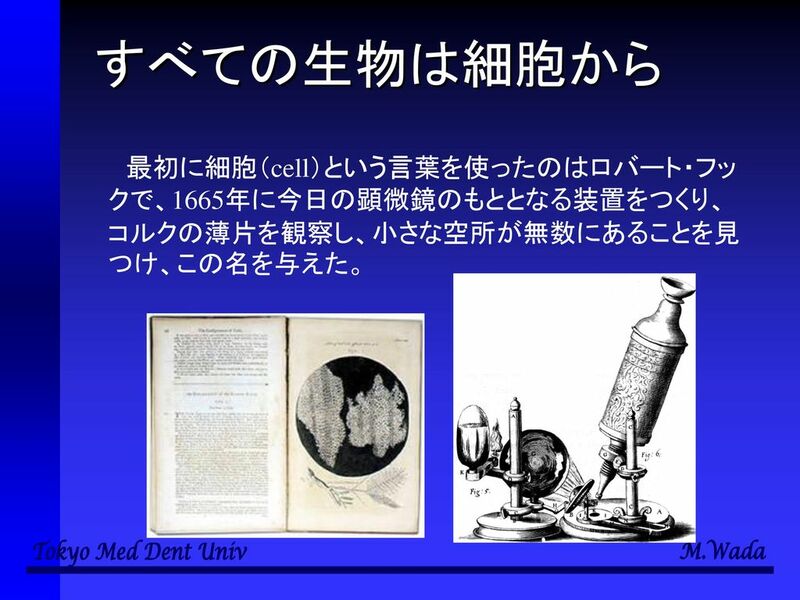 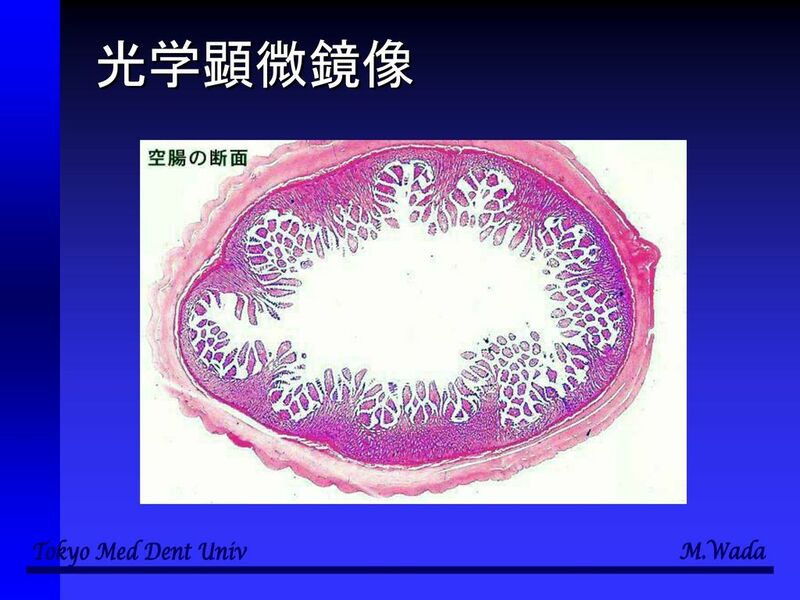 Download ppt "細胞と多様性の 生物学 第２回　細胞の構造、細胞小器官など 和田　勝 東京医科歯科大学教養部." 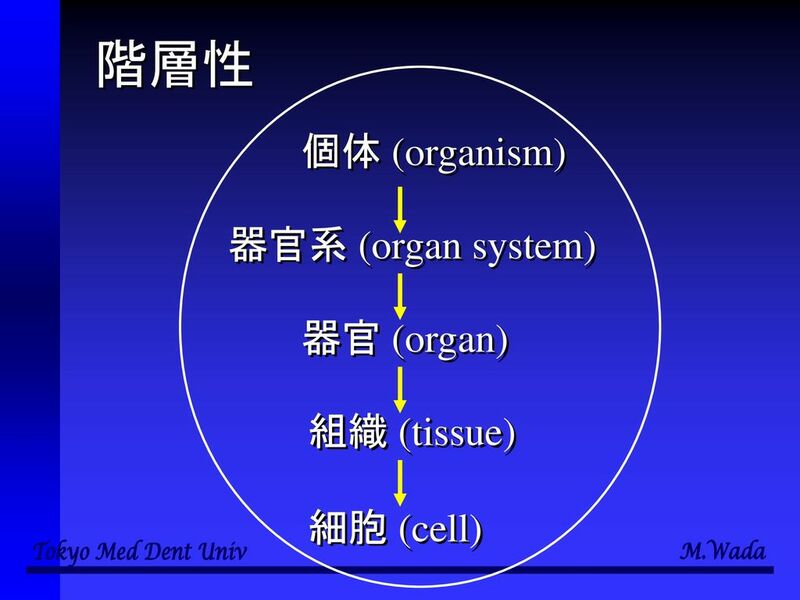 工学部第一部（他学部相乗り科目） 生命科学 配布資料（武村担当分） 理学部第一部教養学科 武村　政春.